As the GOP nominee to be President of the United States, it would seem reasonable to expect that members of your own political Party would support you. Apparently, for Mitt Romney, that is an unreasonable expectation. 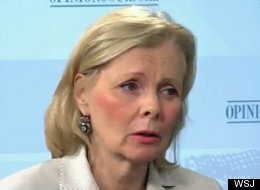 Peggy Noonan, a former speech writer for President Ronald Reagan (who joined with Colin Powell in turning their backs on the Republican Party while publically supporting Barack Obama in 2008), wrote of Romney’s campaign that “an intervention” is needed : because it is “incompetent”. This is not entirely unexpected from someone who’s credentials were built on being a speech writer for a President who had very little need for speechwriters, who of her own free will turned her back on her political Party to publically support an obviously inexperienced, unqualified, community organizer who was manufactured into a pop star candidate by institutionalized “progressive” leftists in America’s media. 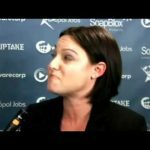 : A candidate who had never run a business, never met a payroll…who had voted “present” over one hundred times as an Illinois State Senator. : A candidate who had lived his entire life not only surrounded by anti-American radicals, but who when in school actively sought them out. 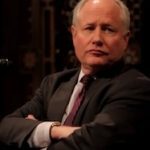 The attacks coming from Bill Kristol, editor of the ‘Weekly Standard’, who worked as chief of staff to former Vice President Dan Quayle, are less explainable. When Kristol states that this election features “two candidates who have done so little over their lifetimes for our country” is he honestly comparing a former community organizer (radicalizer) who since moving into the White House has continuously placed obstacles in the path of job creating small businesses, stifled energy development, socialized huge portions of the private sector economy, and created catastrophic : chaos overseas, to a capital investor who succeeded within the American free market enterprise system, saved businesses from insolvency, created jobs, protected the nation from international embarrassment when he rescued the Salt Lake City Olympic Games from bankruptcy, who as Governor reduced his State’s debt without raising taxes while improving their schools to the best in the country? 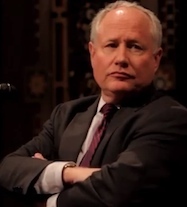 : Or is Kristol just trying to sound important in hopes of remaining relevant? If this can be counted on from Republicans, who needs Kaili Joy Gray of the Daily Kos? Gray gleefully joins in the “pile on Mitt Romney” festivities, but prefers to first attack the candidate’s wife: “Ann Romney is once again up on her gold-plated cross, and she’s got another message for the ingrates out there who don’t appreciate how hard it is to be her. During an interview early this evening with Radio Iowa, Mrs. Romney directly addressed her fellow Republicans who’ve criticized her husband. Gray and Kos have carefully aligned themselves with the class warfare strategy of the White House re-election campaign. In the final weeks of what is an extremely important tipping point election, possibly the most significant American election since the 1860s, is it really too much to ask for Republican pundits and journalists to at least offer constructive criticism instead of plain old Daily Kos style attacks? With friends like Noonan and Kristol, who needs Gray?